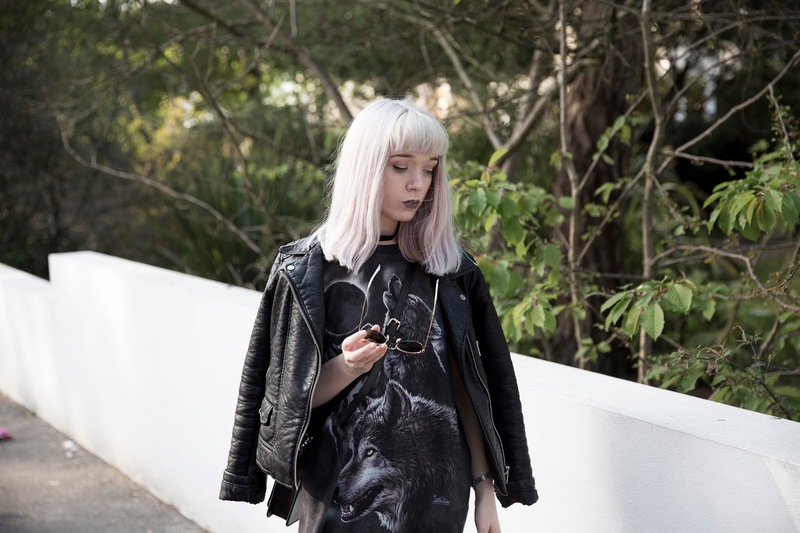 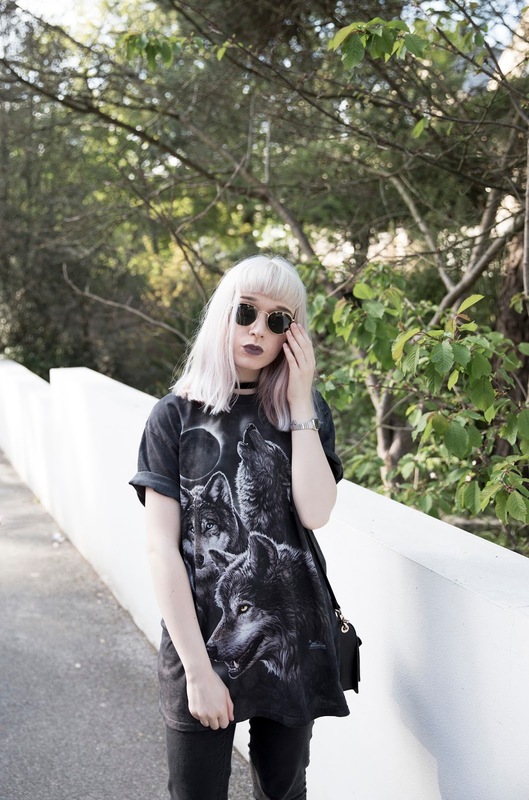 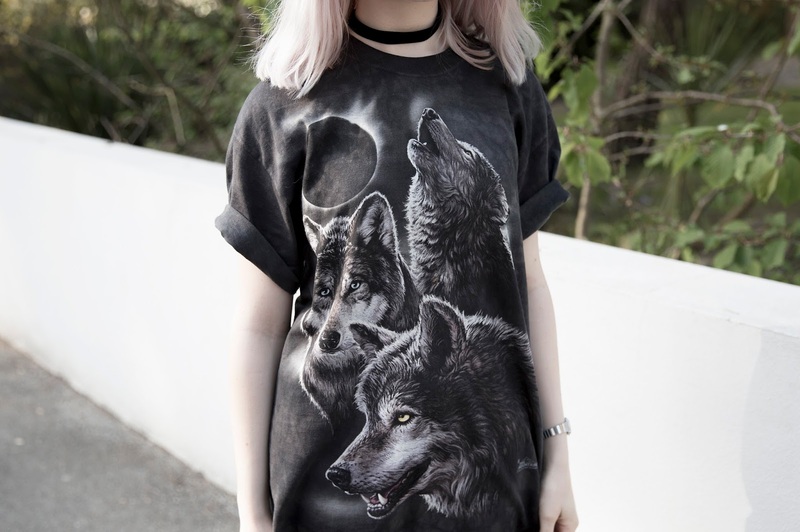 The second instalment for my collaboration with the brand The Mountain comes in the form of this awesome Eclipse Wolves T-Shirt. 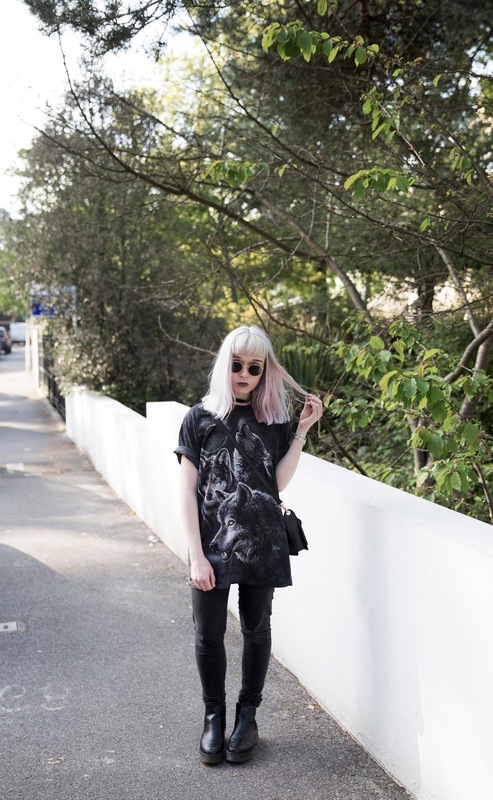 With this particular design I decided to go for an oversized fit as previously I have worn more of a 'true to size' style, the reason for this was because I had a couple of styling ideas for the tee. 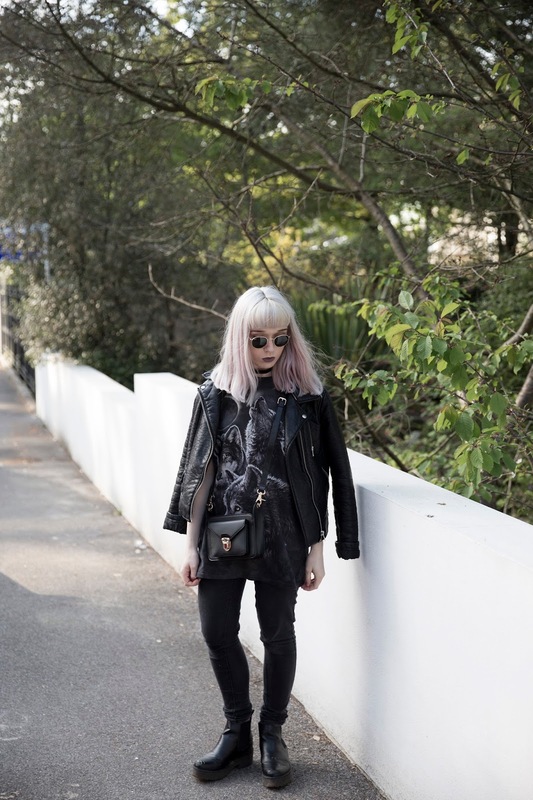 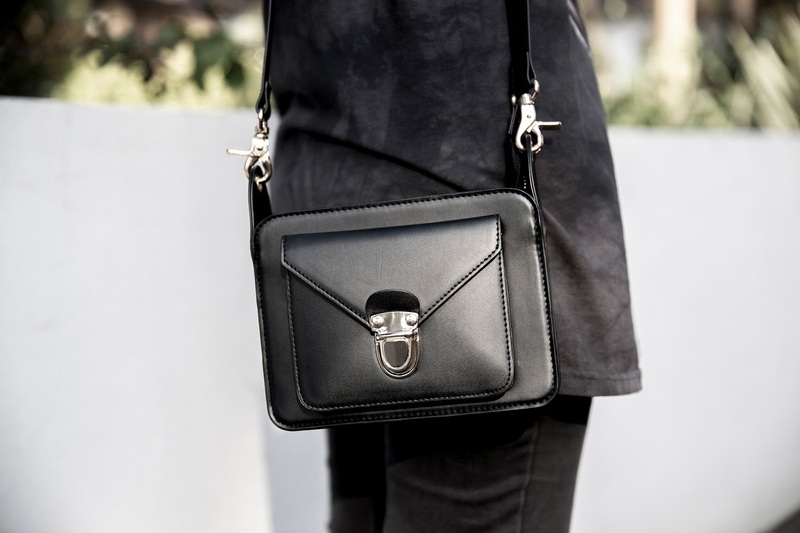 The first being that I wanted to play around with the 'darkness' of it by pairing it with a classic all-black outfit with the added touch of a leather jacket. 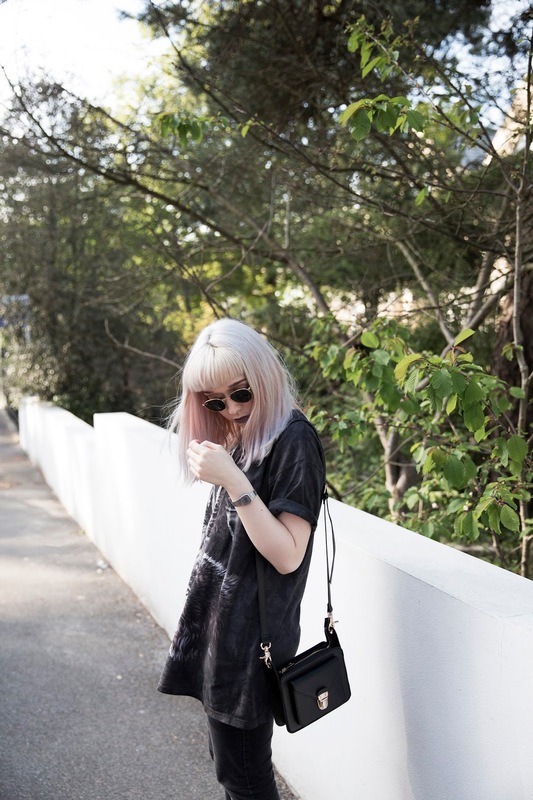 I am also hoping to include it in a more summery look come summer holiday season, by pairing it with a pair of black distressed mom shorts and possibly an oversized, floor length kimono.